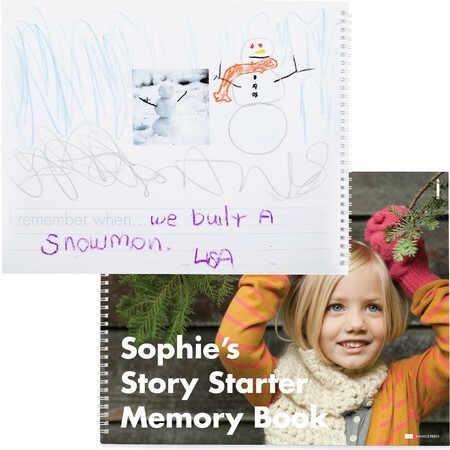 The perfect gift to encourage creativity, the Story Starter Memory Book features a favorite photo with space around it for your child to draw their memory. Plus, each page includes two lines to practice their penmanship. Foster creativity on weekends and weeknights by giving your child time to contemplate and create vivid memories. 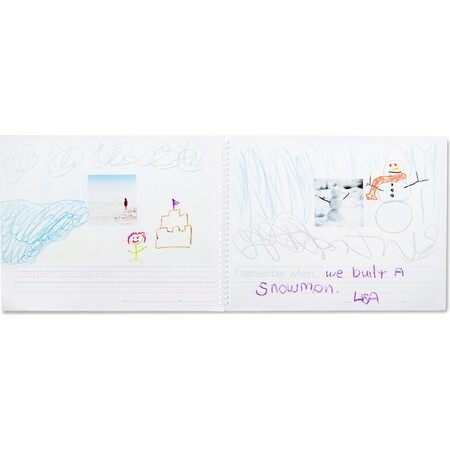 Years from now, they'll look back at their baby memory book and smile at this artistic diary. Did you go to the beach? Did you go apple picking? Pick a favorite photo and let your child's imagination roam the page. Do you have a birthday party coming up? Create a Story Starter Memory Book with photos of all of your child’s friends. Then, have each child customize their page in the book with a drawing and written memory. Your birthday girl will end up with a book of memories from her friends!